Remove the leaves from the basil and oregano, chopping each. Reserve half of the basil for garnish. Lay chicken in bottom of the slow cooker. Sprinkle the onions and peppers all around the chicken. Top with the tomatoes, half the basil and all the oregano. Pour chicken broth over it all. Remove the chicken to a cutting board and shred. Keep warm. Add pasta to crock pot and cook another 35-40 minutes or until pasta is al dente. Stir shredded chicken back in and heat through. 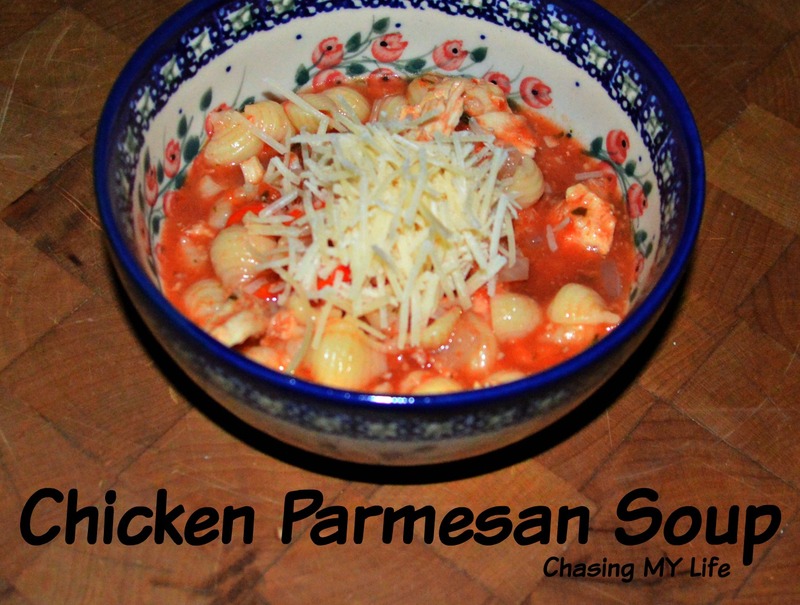 Top each serving with fresh basil and some of the Parmesan shredded cheese. THANK YOU FOR VISITING. I hope you enjoy the soup.